This is the birthplace of Buddy Holly and the heart of West Texas culture, where even the large public university that calls Lubbock home has an impressive collection of commissioned and public art pieces by renowned artists on display throughout campus. If you’ve never had the chance to explore Lubbock’s arts scene, now is the time. Follow this guide to see and hear some of the best in Texas arts and culture with a trip to Lubbock. Lubbock is home to numerous theaters that host theatrical performances and concerts throughout the year. The Cactus Theater often features tribute performances to rock legends like Bon Jovi, Aerosmith and Journey. It also stages musical productions like “Fiddler on the Roof” and “The Buddy Holly Story”—local shows that have been a staple in Lubbock for decades. Another local favorite is the Lubbock Symphony Orchestra, which performs concerts throughout the year. The orchestra’s music director, David Cho, has been curating shows each season since he was named director in 2011. Lubbock Moonlight Musicals is a Lubbock favorite and hosts many family-friendly live shows like “Beauty and the Beast” and “Mary Poppins.” Throughout the summer months, these musicals take place under the vast West Texas sky at an outdoor amphitheater. Visitors that want to check out the city’s rising talent should check out Hemmle Recital Hall at Texas Tech University. The shows at Hemmle are often free and range from modern jazz to classical. If you have an affinity for contemporary art, the Charles Adams Gallery is one of the best in Texas. The gallery focuses on Texan artists and displays a wide range of art including paintings, pottery and photography. The gallery hosts a number of special events and wine receptions to introduce new collections and artists. The Glassyalley Art Studio and Gallery is another popular local gallery known for its abstract beadworks, mosaics and artifacts. The gallery’s owner offers courses on creating mosaic pieces for hands-on instruction and learning of the practice. Visitors can also browse through permanent collections or the latest exhibits promoting the legacy of Buddy Holly and the music of Lubbock and West Texas at the Buddy Holly Center, a hard-to-miss Lubbock venue graced with larger-than-life, thick-rimmed black glasses near its entrance. The center hosts a Summer Showcase Concert Series, featuring West Texas musicians who perform for free on Thursday nights from May to August. Another gallery worth visiting is Tornado Gallery, located in downtown Lubbock, which showcases contemporary artwork inside a warehouse-like space that features glass-blown pieces, jewelry, paintings and ceramics. Lastly, it’s recommended to visit Lubbock during the first week of the month to participate in the First Friday Art Trail, a favorite social gathering for locals. The Art Trail is a free, self-guided, public art festival held at Louise Hopkins Underwood Center for the Arts and other galleries. Local artists, vintage collectors, food vendors and musicians flock to the district to sell and showcase their best works. A free trolley takes attendees to and from the various locations. To get a chance to relive the old pioneer life and learn more about the city’s West Texas history, head over to the National Ranching Heritage Center at Texas Tech University. Visitors can view vintage artifacts of rifles and horse saddles, as well as 48 authentic ranching structures dating back to the 1700s. To further explore the city’s rich history, head over to the American Windmill Museum to learn about the evolution of windmills. At the center, guests can see preserved windmills from different eras and join a tour to learn about their little-known history and importance to the Lubbock area. Another hidden gem of Lubbock is the aviation-focused Silent Wings Museum, where people can see an impressive collection of war planes and artifacts from WWII. 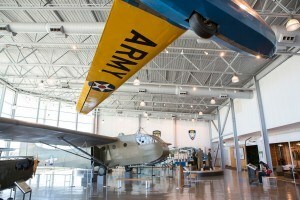 The museum is housed inside an old airport and visitors have a choice to self-guide or follow a tour. Lubbock’s arts and culture scene is truly one-of-a-kind. For more information about the arts, click here or take a look at our calendar of events.